Wow! 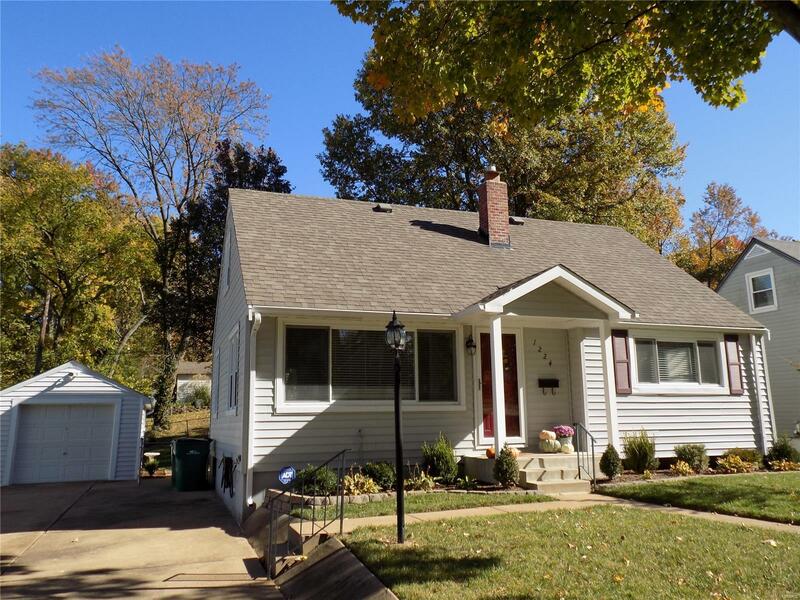 Donât miss this charming 1.5 Sty, 4 bed 2 full bath home in sought after Webster Groves! The adorable curb appeal will grab your eye! Addâl highlights: Beautiful Hardwood throughout Living rm, Dining Rm, and both main floor bedrms! Gorgeous Light Filled Living Rm, which opens to bright dining rm that overlooks large private fenced backyard. Kitchen has Granite Counter Tops, Stainless Appl., Gas Stove, Built in Microwave, and ceramic floors, frig included! Both Baths have been Updated! Two Beds or One bed, &one Den/Office on Main Floor! 3rd and 4th Beds on second floor with Full Bathrm and Loft w/ Built In Bookcase & Storage Drawers! This Beautiful Home also has a Finished Lower Level w/ Spacious Family Rm/Rec Rm! Newer windows! The Deck off of the Dining Room Steps Down to the Large Concrete Patio and the Level Fenced Yard! Great Entertaining Space! So much to see & so much space! Close to Webster Parks,and Pool/Rec, Restaurants, Shopping! 1 yr HSA warranty free to purchaser!